Is Another Recession Coming? Here’s How You Can Be Prepared. It’s hard to imagine, but another recession might be on the horizon. You might be thinking, “Didn’t we just barely escape the last one?” With the economy doing so well, you might not believe it. The job market is better than it’s ever been. Businesses are making money hand over fist. So, why all the doom and gloom? Yesterday, the stock market took an 800-point nosedive. This isn’t the only time it has tanked under the Trump administration. If you ask them, they will deny anything bad is going on. But if there’s one thing about Trump, it’s that he’s unpredictable. His trade war with China is making it difficult for certain businesses that should be thriving under his economy. General Motors is having problems and wants to cut jobs. So, why the mixed messages? The stock market reached record heights, but now it’s falling? Black Friday and Cyber Monday had record numbers, but many stores are closing. Something strange is surely going on in the United States. Is it time to panic about another recession? In reality, many experts predict yes. Others say no. There’s more good stuff going on than bad right now, so it’s too early to tell. Regardless, it’s important to be prepared for all outcomes! The problem is, a lot of people don’t know how to use prosperous times to prepare for that next downturn. There’s no doubt that human nature comes into play. When we end up with more money in our pockets, our first inclination is to spend it! We get it in our heads that things are looking up, so it’s the perfect time to put a down payment on a bigger house. We turn in the car for a newer model. That new 60-inch 4K ultra high-definition TV in time for the big game sounds great! We LOVE to spend money, especially when we have it, and even when we don’t. It’s perfectly fine to take a few extra bucks and enjoy the fruit of your labor. But what are you doing to protect yourself from the next recession? You know it’s coming, so why not prepare for it? One of the biggest lessons from past economic crisis has been how quickly everything can go down. The collapse of 1929 happened over one weekend in October, fueling what is known as The Great Depression. One Thursday, the economy decided to take a dive and by Tuesday the next week, investors had lost their life savings. It didn’t fully recover for another two and a half decades. The 2008 crash happened in a single day. On September 28th of that year, investors pulled over $140 billion from the market. It sent Americans into one of the worst recessions in our country’s history. The scary thing is, it could’ve been much worse had it not been for Ben Bernanke recognizing the signs. The FIRST thing you should do with your finances is to set up an emergency fund of at least $1,000. That’s before you start paying off debt or investing your money. Even then, $1,000 will only get you so far. When you sit down to plan the bills, make sure you can afford to divert a certain amount into your savings. You could lose your job suddenly. Having a decent cushion under you will protect you for several months while you work out your options. If you live paycheck-to-paycheck, life will get immensely difficult if you get canned and you’re broke. While good times might inspire you to buy the next big toy, make sure you have a comfortable cushion first. As the saying goes, don’t put all your eggs into one basket. 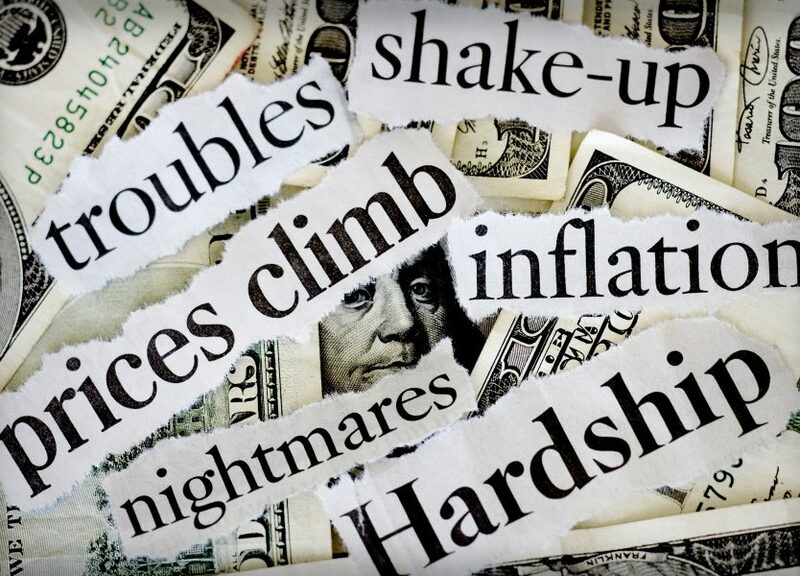 When a recession happens, it usually involves the stock market and the value of the dollar. While the stock market will probably take a tumble, that doesn’t mean every single stock will crash and burn. There will still be some industries that thrive, even while others struggle to breathe. With a diversified portfolio, your chances of losing EVERYTHING goes down significantly. For example, during the 2008 crash, the value of gold rose to record levels. The same was true for silver and other precious metals. Look up depression and recession-proof industries and make wise investments for the future. As tough as the 2008 crash might’ve been, the internet was sort of a savior. There are currently record numbers of people trying their hand at online entrepreneurship. They started learning about internet marketing, e-commerce, affiliate marketing, and so much more. It paid off for them. Moms took to Facebook, selling items and starting miniature businesses that helped bring in more cash for the family. Even if you don’t need the extra cash now, it will benefit you in the future to have an additional source of income. Start by joining Facebook groups and investing in materials written by the experts to show you how to get started. Despite good economic times, it’s always a good idea to be prepared for the worst to happen. Life is unpredictable and a recession can happen no matter the economy or the season. Be fully prepared before you start spending that extra money.